We do not know nor can we ever hope to know what it felt like to live without a husband, father, grandfather, uncle, cousin …due to imprisonment for a political will, wish and belief. We do not know how it makes one react, over-react or the anger that it can unleash…. 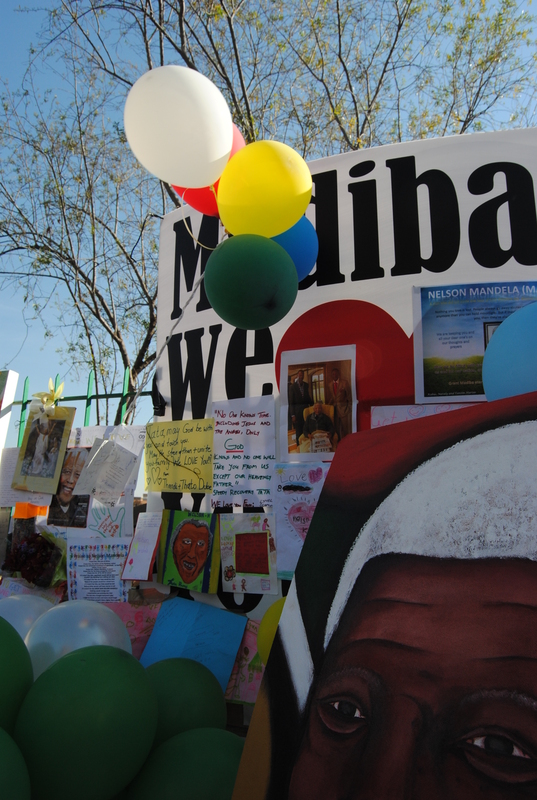 Nelson’s Mandela’s family, no matter what the connection, in all likelihood have some feelings of some kind – positive or negative. The recent turmoil within the family since Mandela has been hospitalised especially of late, has left South Africa saddened. One can understand it if one looks at the history… but it is leaving all South Africans feeling wanting. The graciousness of Graca Machel is dignified, as she has always appeared to be. The legal wrangling of the Mandela children and grandchildren leaves a bitter taste. No matter what the angle or motive.. it leaves a bitter taste which makes one want to turn one’s face. Even dear Winnie has appeared calm and collected for a change. Mandela, a man of dignity, would so not be ‘amused’ by all of this bitterness and acrimony that is being reported on daily. While ‘Mhaki’ attacks the international media for being vultures … one only has to look at one’s own backyard do we not? Mandla Mandela is also not exactly being honest about his statements either! I say that because I find the public family spats and legal actions and counter legal actions in contrast to the image Nelson Mandela has projected. I guess one we believe in, especially at this point in time. Now is so not the time to confront these issues in this way. There will come a time. We do not wish to hear or read of these family confrontations at this juncture in Nelson’s critical medical state. He is an ailing statesman, whom we love and admire. The people of South Africa, I am sure, wishes that his current ill health is given the compassion he deserves, and that the behaviour of his family bows to public pressure and takes an extremely low profile until he is released from hospital or however nature will take its course. We are used to expecting a certain standard of decorum from Nelson Mandela, I guess we expect it from his family (rightly or wrongly).. but in this instance we would hope that those who say they care… do that.. and get on with their caring and stop the mud slinging through the press. To tarnish his image at this time is just so wrong. The ICON is ailing, he is ill. Show some respect.. for goodness sakes, show some respect!!! Previous Where’s the Tolerance for Difference?